Ticks belong to the family of spiders (arachnids), an adult tick has 8 legs. Insects have 6 legs and may have wings too. There are over 800 species of ticks known worldwide. Ticks are ectoparasites (living on instead of inside a host). They need to feed on the blood of mammals, birds, and sometimes reptiles and amphibians. Ticks are carriers of a number of diseases that affect both humans and animals. Almost all ticks belong to one of two major families, the Ixodidae or hard ticks, which are difficult to crush, and the Argasidae or soft ticks. The development of a tick begins when it hatches as Larvae from one of the numerous eggs laid by a female tick. The larvae, with a size less than half a millimeter, is barely recognizable with the naked eye. It sit’s and waits until it can transfer to a host, usually a small animal or a bird. After this first blood meal, the larvae leave its host and molts into a nymph. The sexless Nymph can spend month or years free-living in the undergrowth waiting again for another host and for another blood meal, after which again it will detach itself from the host. Depending on the tick species it may go through several nymph stages before it molts into a sexually mature adult tick. The adult tick will again sit and wait for a host. At all, a tick spends most of its life waiting on the ground, in the undergrowth, on shrubs or grasses. The female Adult tick needs the blood of the host to produce up to 3,000 eggs. A full-bodied female tick weighs almost 200 times as much as a hungry tick. To take up so much blood may take the female tick up to 10 days before voluntarily leaving her victim. The male tick can fertilize the eggs of the female without any further blood meal. The tick bite is actually not a bite but a small puncture wound. As long as the tick is still attached, it is obviously easy to recognize as a tick bite. However, when the tick is fallen of all that left is a small puncture wound which needs to be observed for infection or changes. When a host is found, the tick may walk around for a couple of hours until it finds a suitable bite site. It then cuts through the skin with its jaw claws and anchors its “harpoon-like spike” (the hypostome) into the wound. The small wound cuts capillaries from which blood flows, a tick is a so-called pool feeder. Before taking blood in, the tick releases a saliva secret, which contains several important components. A coagulation inhibitor, which prevents clogging of the spike (hypostome) and increases blood flow to the puncture site. A kind of adhesive that firmly anchors the mouth tools in the skin. An anesthetic that makes the puncture site insensitive. An anti-inflammatory agent which is intended to avoid stimulation of the body’s immune defense at the injection site. The blood is then taken up by the tick. While feeding blood from its host, the tick regurgitates indigestible food residues into its host at regular intervals. 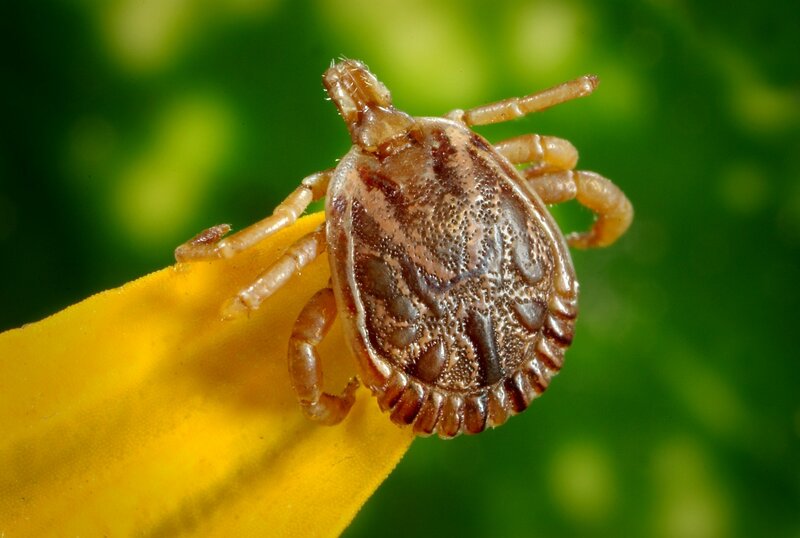 In this process, pathogens which may have been contracted from a previous host and which have been preserved or even multiplied in the body of the tick can be transferred to a human. 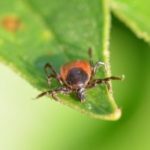 The infection does not happen immediately, but the longer an infected tick is feeding, the higher the risk of contracting a tick-transmitted disease becomes. 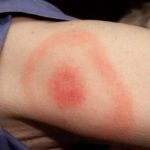 Lyme disease contraction, for example, takes about 6 to 24 hours after the tick bite. Therefore, fast and careful removal of a tick is urgently recommended. The development stage of ticks also has an influence on the risk of infection. A tick in the nymph stage contains ten times more pathogen than an adult tick. 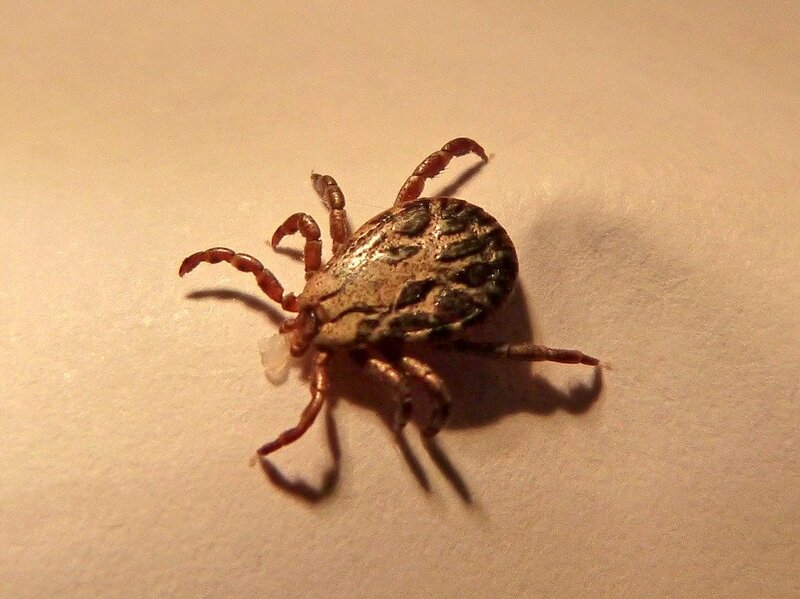 Tick-transmitted diseases are dangerous and can be difficult to treat. Preventing tick bite is the best measure. So protect yourself and your family with the best tick repellent! 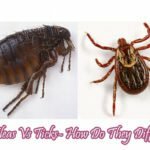 What Diseases Are Transmitted By Ticks?